DUFU forming higher high & higher low. Immediate support @ RM0.645 level. 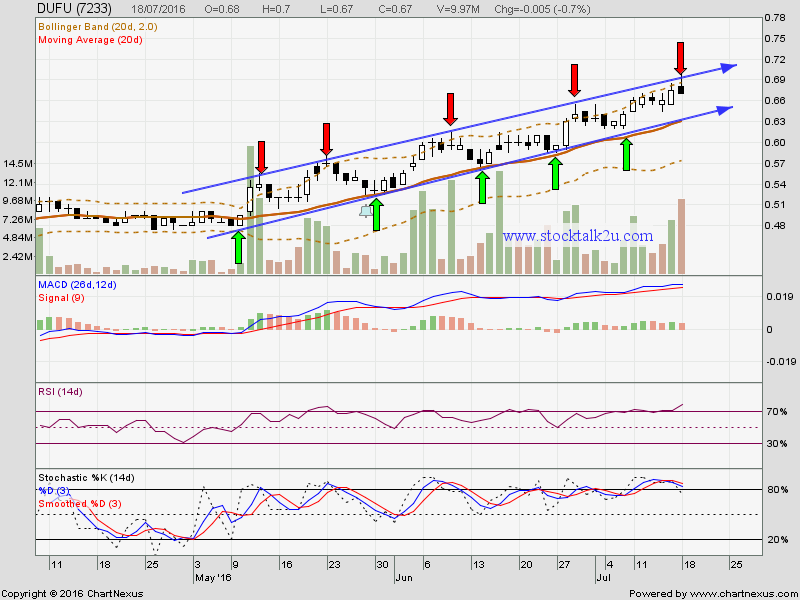 Subsequent support @ RM0.63 which is around MA20 level. Immediate resistance @ RM0.68 level. 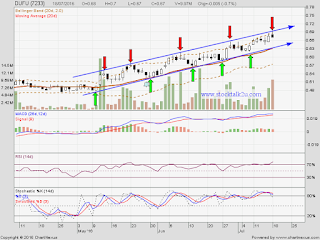 Subsequent resistance @ RM0.70 level . For more info, pls refer BursaMalaysia website.